Cut a piece of parchment paper to fit a large, rimmed sheet pan. Lightly coat the parchment with some non-stick spray. Place the chunks of chicken in a medium mixing bowl. Stir or toss to coat evenly. Note: If you don't have breadcrumbs on hand, you can crush up some croutons or crackers. 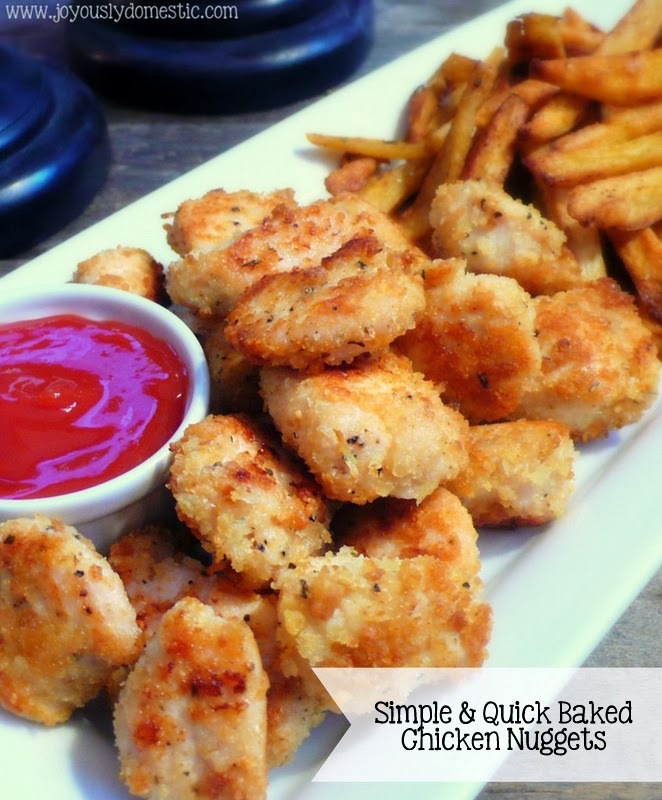 The panko just adds an extra "crunch" factor to the nuggets.